The beautiful Florida Keys are a string of idyllic tropical islands off the southern tip of Florida that can easily be accessed by car along the amazing Seven Mile Bridge and the 113-mile Overseas Highway, which runs from Key Largo to Key West, Florida. The Keys are a popular vacation destination, offering brilliant sandy beaches, warm tropical waters, great hotels, and an abundance of marine life. In addition to all the marine attractions, there are also many historical locations to visit, where you can learn about the history and culture of the islands. 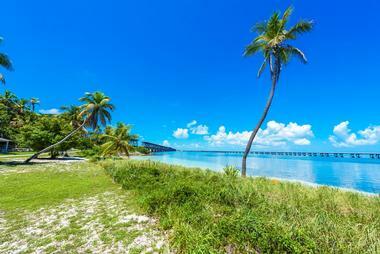 Bahia Honda is a remote island on the Lower Florida Keys, close to the west end of the Seven Mile Bridge, which links the Keys to the Florida mainland. 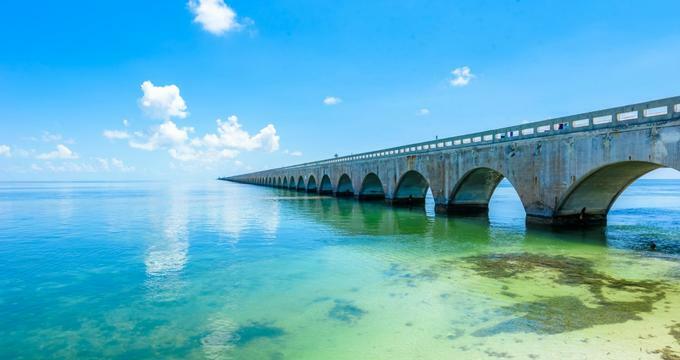 Bahia Honda State Park is one of the southernmost state parks and offers visitors an idyllic location to relax and unwind, surrounded by beautiful beaches, wonderful wildlife, and clear, warm waters. Everything you need for a beach holiday is right on your doorstep – there are campsites right on the edge of the ocean and a few stilted cabins overlooking the bay. 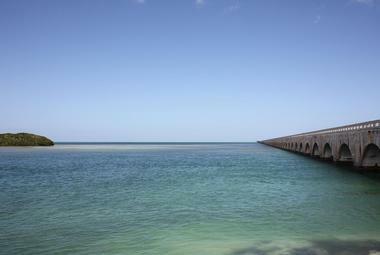 You can bring a boat to launch from the boat ramp, and organized snorkeling tours to the reef are available. In addition, there are three hiking trails to explore and a nature center that offers ranger-led activities and talks. 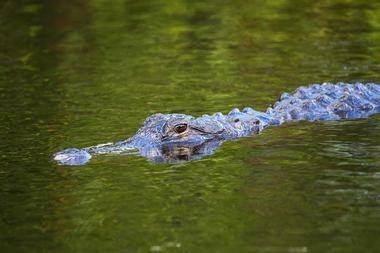 Established in 1980, the Crocodile Lake National Wildlife Refuge fulfills a critical need to protect the last remnants of the natural habitat of the American crocodile as well as a collection of other creatures that call this part of the Florida Keys home. The refuge is located on Upper Key Largo, where it protects a diversity of habitats including hardwood forests, mangrove forests, and salt marshes, which provide critical breeding grounds for the crocodiles, the Key Largo woodrat, and Schaus’ swallowtail butterfly. Unfortunately, due to the sensitive environment, the refuge is not open to the general public and can only be accessed by volunteers and for research purposes. Promising to be an ideal day-trip for nature lovers, the Dagny Johnson Key Largo Hammock Botanical State Park protects one of the few remaining large tracts of West Indian tropical hardwood hammock in the country, along with over 80 other species of protected plants and animals, including the endangered American crocodile. The park is well equipped to welcome visitors and features over 6 miles of trails, most of which are paved and suitable for bicycles, wheelchairs, and children’s buggies. 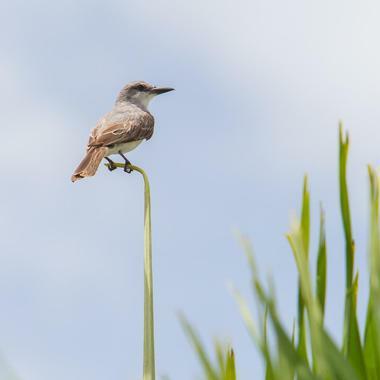 As you make your way along the trails, you will have great bird watching and photo opportunities. There is also a self-guided nature trail, where signs will provide you with info on all that you are seeing. If you prefer, you can join a ranger-guided tour to learn all about the fragile ecology of the park. If you’ve ever dreamt of swimming with dolphins, Dolphin Cove on Key Largo is the logical place to live out your fantasy. The cove is located on a natural lagoon on the northernmost part of Key Largo and offers nature lovers the chance to get really up close and personal with a bottlenose dolphin. Your adventure will begin with a 30-minute boat ride through the backcountry, where you will be instructed about how to behave in the presence of dolphins before you head back to the cove and get your feet wet. In addition to the organized dolphin swims, Dolphin Cove also offers natural swim dolphin encounters, where you don a snorkel and swim freely with the curious and friendly dolphins – an unforgettable Key Largo experience. There aren’t too many places on Earth where you can combine history with an amazing underwater world bristling with marine life. Located about 70 miles west of Key West, Dry Tortugas National Park is almost entirely covered by water except for a few small islands, one of which is home to historic Fort Jefferson, one of the largest forts every built, dating back to 1846–1875. 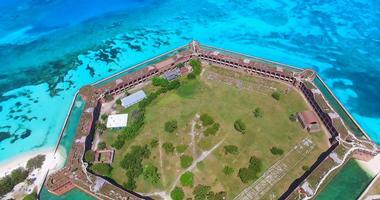 After you have toured Fort Jefferson, you can enjoy all the underwater wonders of Dry Tortugas National Park – there are great bathing beaches and several excellent dive sites including reefs, wrecks, and shallow areas perfect for children and beginners. The only way to reach this amazing place is by scheduled ferry, private boat, or seaplane. 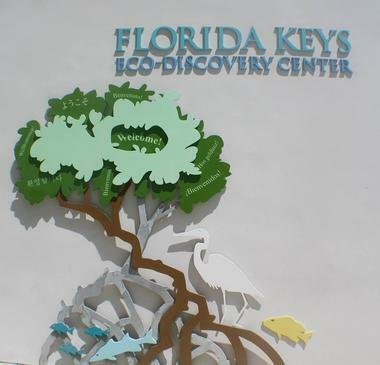 The Florida Keys Eco Discovery Center is essential viewing for anyone visiting the Keys and will give you a remarkable insight into the essential role of marine conservation in this very special ecosystem. The Discovery Center is educational and fun for all ages and features over 6,000 feet of fascinating interactive exhibits, including one dedicated to introducing visitors to Aquarius, the world’s only underwater research laboratory. You will be able to see an enormous reef tank filled with living coral and tropical fish and learn about the unique habitats found around the Keys. On your way out, you can pop into the gift shop to buy some really unusual gifts to take back home. The good news is that there is no admission fee and parking is free. Running parallel to US Highway 1 (designated a National Scenic Highway), the Florida Keys Overseas Heritage Trail is a (mostly) paved 90-mile trail that stretches from Key Largo to Key West, inviting and encouraging walkers, hikers, skateboarders, and cyclists to come and enjoy superlative views. Along the way you can drop a line to fish for your supper from several fishing bridges and there are also launch areas for kayaking. The trail offers access to a large number of Keys’ attractions including the Everglades National Park, Biscayne National Park, Crocodile Lakes National Park, and several more. If you would like to camp along the route, you will find private campsites as well as campgrounds in some of the national parks. Located in the Upper Keys close to Key Largo, the Florida Keys Wild Bird Sanctuary is a great place to get really up close some of the many marine birds that are being cared for here. The sanctuary is dedicated to rescuing injured wild birds and nursing them back to health so that they can be released back into the wild. 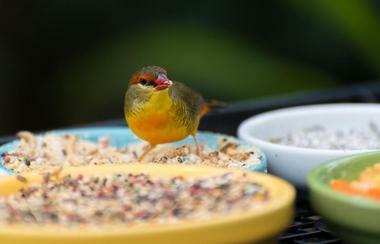 In addition to providing a haven for these birds, the center also strives to enlighten visitors about all the dangers that confront our feathered friends and how we can play a part in protecting their environment. You can look forward to seeing many free-ranging wild birds, possibly including pelicans, ibises, cormorants, and even storks. It’s an ideal outing for families and avid photographers. 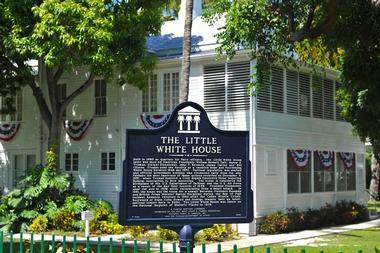 The façade of the Harry S. Truman Little White House hides a fascinating history that commenced way back in 1890, when the building was used as the naval headquarters for the Spanish-American War, and later during the first and second world wars. From around 1946, President Harry S. Truman began to use the building as his “Winter White House,” where he was often visited by both military and political figures on urgent matters of state. 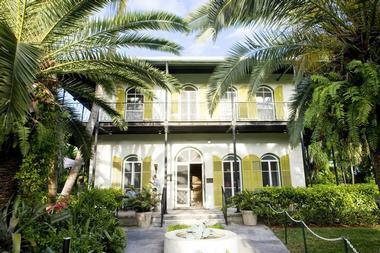 Today, the historic home is operated as a museum, where you can go on a guided tour to gain an insight into the life and times of President Truman and his successors, who came to Key West to relax and recharge during the dark years of the Cold War. You can also go on a botanical tour of the surrounding gardens, where tropical trees and shrubs abound. 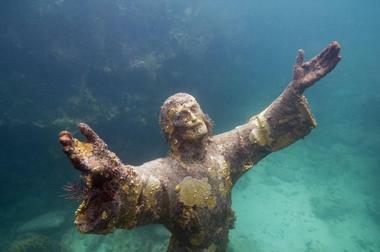 Possibly one of the most popular attractions of the Florida Keys, the John Pennekamp Coral Reef State Park was the first underwater protected park in the US. The park covers an enormous area of around 70 nautical square miles, comprising open water, spectacular coral reefs, on-shore mangrove forests, and tropical hammock forests. 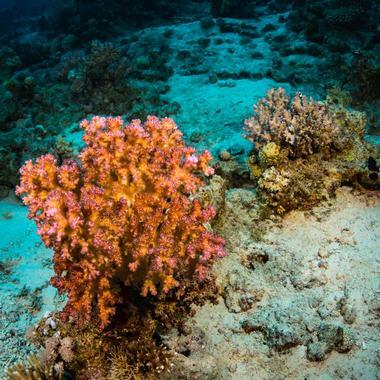 The entire area is an irresistible playground for nature lovers, who can spend hours exploring the abundantly populated coral reefs using snorkels or scuba gear. Visitors who prefer not to swim can still enjoy the bounty from the comfort of a glass-bottomed boat. Other activities include canoeing, kayaking, swimming, short hiking trails, camping, and picnicking. If you’ve ever wondered what it would be like to spend the night in an underwater lodge, the time has come to experience this wonderful adventure for yourself. 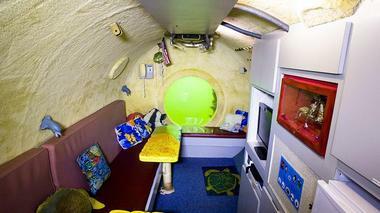 Jules Undersea Lodge is no gimmick – the cottage-sized lodge is located 30 feet below the surface of Key Largo Undersea Park, comprising a fully equipped kitchen, comfy beds, hot showers, and even a TV. The only catch is that you have to scuba dive down to the hidden entrance of the lodge, which means that this adventure (including undersea pizza delivery) is restricted to registered scuba divers. Even if you don’t plan to enter the lodge, you can still have a lot of fun learning to scuba dive in the calm, protected waters of the Undersea Park. Key West Aquarium is an absolute must-see attraction for all marine life enthusiasts during a visit to the Lower Florida Keys. The aquarium features several interactive exhibits, one of which includes an actual indoor mangrove forest where visitors can learn about the essential role of mangroves to the Florida Keys ecology. You can expect to see a wide variety of marine life, including game fish, sharks, tropical fish, turtles, jellyfish, and colorful reef fish. Children can enjoy the experience of touching and even holding all the curious creatures in the touch tank, as well as finding out what a shark’s skin feels like at the petting tank. Be sure not to miss the regular interactive shark and stingray feedings. 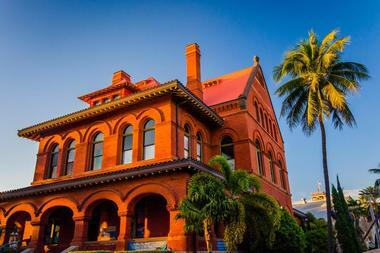 Although the Florida Keys are all about sun, surf, and an abundance of marine life, the Key West Art and Historical Society is keen to showcase the historic and cultural side of the Keys. Their three beautifully preserved museums are open to the public daily (except for Christmas Day). 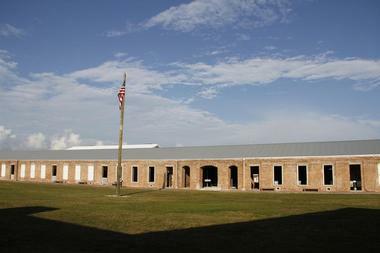 At Fort East Martello, you can see a collection of Civil War relics and even meet the Ghosts of East Martello. The lovely old customs house contains two floors of exhibits recording the Keys’ history and culture, while the lighthouse and keeper’s quarters showcase the island’s maritime history and offer great views from the top of the lighthouse. When you need a break from beaches, watersports, and swimming, the beautiful natural surroundings in the Key West Butterfly and Nature Conservatory will show you another side of life on the Keys. 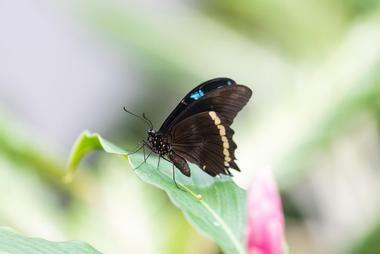 The conservatory is home to a very impressive collection of plants, birds, trees, and waterfalls, which provide a habitat for hundreds of brilliantly colored butterflies. You can spend some time photographing some of the beautiful butterflies and birds in the peaceful atmosphere of the conservatory before learning all about the lifecycle of butterflies in the learning center. If you would like to take some of the magic away with you, visit the Wings of Imagination art gallery and the gift shop. 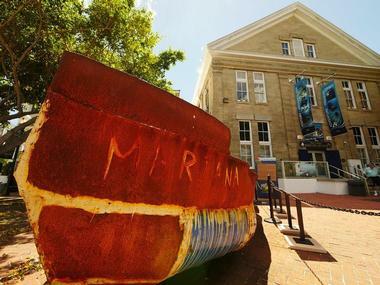 The Mel Fisher Maritime Museum contains a treasure trove of priceless marine artifacts that shed light on the maritime history and culture of the Florida Keys. Most of the artifacts and relics in the museum have been obtained through the process of undersea archaeology, where divers have painstakingly scoured the ocean bed for evidence of the life and times of previous generations. 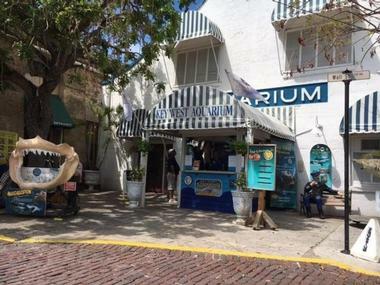 Besides the museum’s regular collections and displays, enthusiasts can book a behind the scenes tour of the conservation laboratory, attend adult or child educational programs, tour the Key West Turtle Museum (seasonal), and find some souvenirs in the gift shop. Calling all nature lovers, fitness enthusiasts, and watersports aficionados, the team at PADDLE! 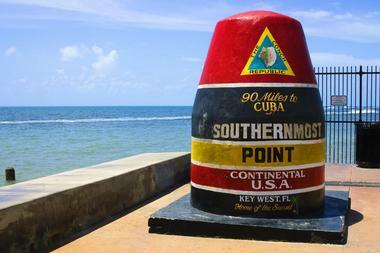 is waiting to turn your Florida Keys visit into an adventure you will never forget. Perfect for both beginners and families as well as seasoned paddlers, PADDLE! offers a range of water activities for you to enjoy in the calm and protected waters around Tavernier Creek. The outfitters offer canoe, paddleboard, and kayak rentals for experienced paddlers as well as lessons and guided excursions for less confident beginners and younger visitors. You can choose from a stand-up eco-tour through the mangrove forests, kayak excursions, and romantic sunset tours. 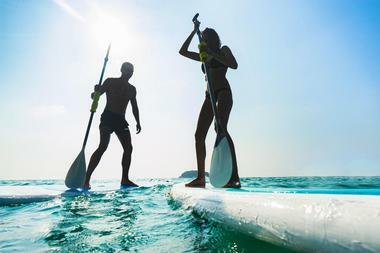 If you are up for it, you can even try your hand at SUP Yoga (stand-up paddleboard yoga), and night tours of the mangroves can also be arranged. 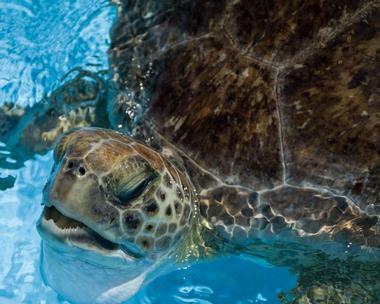 Once upon a time there were thousands of sea turtles in the waters around the Florida Keys – today they are seriously under threat and many rescued turtles end up at the Sea Turtle Hospital for rehabilitation. The public are invited and encouraged to come and see “patients” at the hospital, which offers hourly guided tours of the facility and the chance to feed some of the resident turtles after the tour. Your 90-minute tour includes a presentation on turtles as well as a behind the scenes look at the facilities and the rehabilitation process. Not only is the tour informative, but you will also be pleased to know that your entrance fee contributes to the upkeep and running of this vital charitable facility. Space on the tours is limited and reservations are highly recommended. The Theater of the Sea is one of the oldest marine mammal facilities in the world and has been in operation since 1946. Originally a disused stone quarry, the Theater of the Sea has been transformed into a lush lagoon housing a wonderful collection of dolphins, sea lions, rays, sharks, turtles, and alligators, many of which were rescued after being injured or otherwise threatened in the wild. 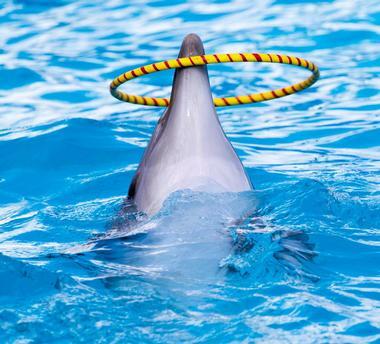 In addition to watching some fascinating marine shows at the theater, you may also choose to join an interactive dolphin, shark, or sea lion activity, some of which include swimming or wading with the highly intelligent mammals. Besides enjoying the antics of the trained animals, you will also learn all about conservation and how you can play your part in protecting marine life. If you’ve always wanted to explore the amazing Florida Keys by water but have no equipment or experience, Ecosail in Key Largo is the ideal sailing charter to get you going. Based at Gilbert’s Resort on Blackwater Sound, you can look forward to exploring the remarkable Florida Keys and Everglades National Park under sail and with expert guides to introduce you to the area. In addition to admiring the beautiful marine landscape by boat, you will also have the chance to explore the mangrove forests by kayak and go snorkeling in some wonderful spots that can only be reached by boat. Ecosail provides all the equipment you need, and the comfortable sailing boats have both sunny and shaded areas where you can relax and unwind. Captain Tony’s Saloon in Key West is probably the most macabre pub you will ever come across. The popular Key West landmark was once a favorite watering hole of the author Ernest Hemingway and you will notice a prominent tree around which the bar has been built as well as a gravestone at its foot. Legend has it that the pub stands on the site of the town’s original hanging tree, and that no less than 75 pirates were hung at this very spot. The headstone at its base belongs to a lady who used to meet her lover at the pub, and whose jealous husband dragged it to the site after her demise. In the garden is another tombstone, which was found below the floor of the pub (together with 15 bodies) during one of many renovations. Captain Tony’s is a popular local institution – don’t leave without visiting. Based on Key Largo, Captain Sterling’s Everglades Tours has been taking visitors deep into the fascinating Everglades for over 30 years. The tours specialize in introducing visitors to the marvels of the Everglades in a safe and ecologically responsible way, taking groups of up to six visitors to see ancient coral reefs, mangrove jungles, and all the wonderful creatures that inhabit them. Captain Sterling also offers specialized manatee sighting tours that will bring you up close to one of the world’s most endangered creatures. 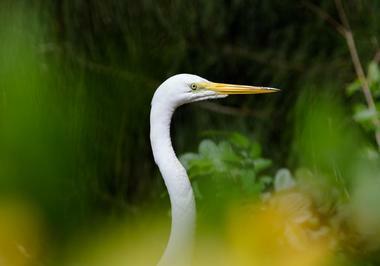 You can expect to see a wide variety of wildlife, including dolphins, alligators, and a large number of marine birds. 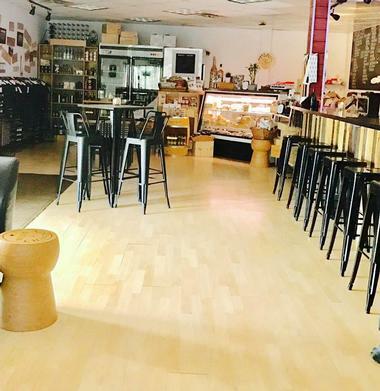 Key Largo has long been a haven for diving and snorkeling enthusiasts, and now foodies can also look forward to visiting a venue dedicated to visitors with gourmet tastes. At Corks and Curds, you can pop in by day to select your favorite cheeses, wines, craft beers, and other gourmet snacks to enjoy at home, or come and spend a convivial evening sharing a platter, fondue, or cheeseboard with friends. 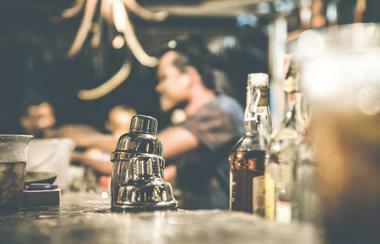 The deli/wine bar offers a comfortably laidback atmosphere in keeping with its idyllic Keys location. Corks and Curds also offer daily wine tastings, monthly food and wine pairings, and cookery lessons and will happily prepare cheese/charcuterie platters for your next party.